[S6] G.E. Cokayne; with Vicary Gibbs, H.A. Doubleday, Geoffrey H. White, Duncan Warrand and Lord Howard de Walden, editors, The Complete Peerage of England, Scotland, Ireland, Great Britain and the United Kingdom, Extant, Extinct or Dormant, new ed., 13 volumes in 14 (1910-1959; reprint in 6 volumes, Gloucester, U.K.: Alan Sutton Publishing, 2000), volume VIII, page 494. Hereinafter cited as The Complete Peerage. [S6] Cokayne, and others, The Complete Peerage, volume VIII, page 498. [S6] Cokayne, and others, The Complete Peerage, volume V, page 748. 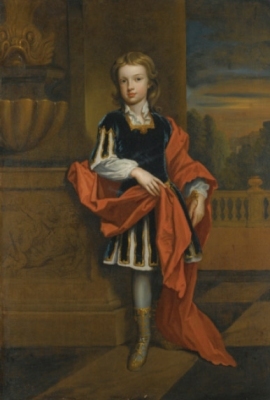 Sidney Godolphin, 1st Earl of Godolphin was baptised on 15 June 1645 at Breage, Cornwall, England.3 He was the son of Sir Francis Godolphin and Dorothy Berkeley.4,5 He married Margaret Blagge, daughter of Thomas Blagge, on 16 May 1675 at Temple Church, London, EnglandG. [S6] Cokayne, and others, The Complete Peerage, volume V, page 747. 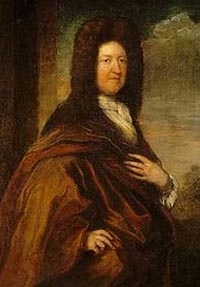 [S22] Sir Bernard Burke, C.B. LL.D., A Genealogical History of the Dormant, Abeyant, Forfeited, and Extinct Peerages of the British Empire, new edition (1883; reprint, Baltimore, Maryland: Genealogical Publishing Company, 1978), page 233. Hereinafter cited as Burkes Extinct Peerage. After her marriage, Lady Elizabeth Churchill was styled as Countess of Bridgwater on 9 February 1703. From 9 February 1703, her married name became Egerton. 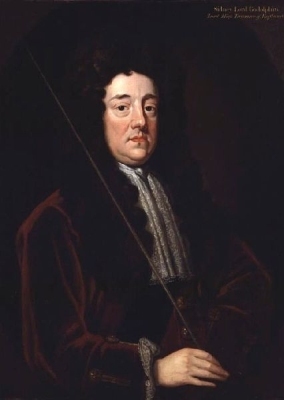 [S6] Cokayne, and others, The Complete Peerage, volume II, page 82. [S6] Cokayne, and others, The Complete Peerage, volume II, page 314. [S6] Cokayne, and others, The Complete Peerage, volume I, page 395. 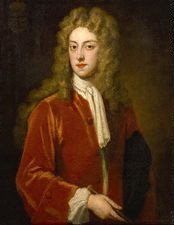 From 17 March 1705, her married name became Montagu. 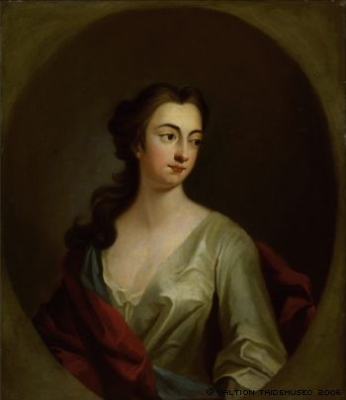 After her marriage, Lady Mary Churchill was styled as Duchess of Montagu on 9 March 1709. 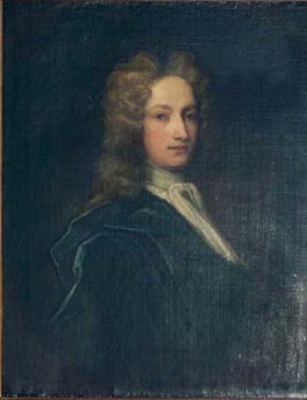 Frances Thornhurst is the daughter of Sir Gifford Thornhurst, 1st Bt. 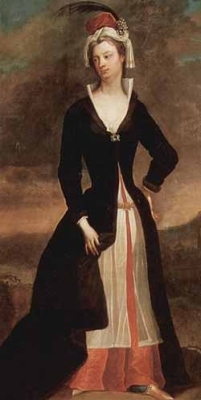 and Susanna Temple.1,2 She married Richard Jenyns, son of unknown Jennings. [S6] G.E. Cokayne; with Vicary Gibbs, H.A. Doubleday, Geoffrey H. White, Duncan Warrand and Lord Howard de Walden, editors, The Complete Peerage of England, Scotland, Ireland, Great Britain and the United Kingdom, Extant, Extinct or Dormant, new ed., 13 volumes in 14 (1910-1959; reprint in 6 volumes, Gloucester, U.K.: Alan Sutton Publishing, 2000), volume VIII, page 495. Hereinafter cited as The Complete Peerage. 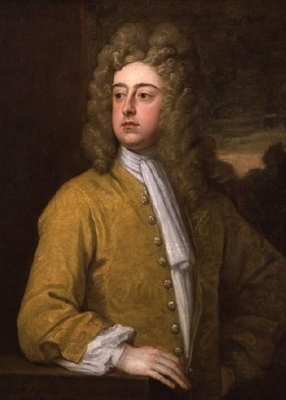 He was styled as Lord Churchill between 1689 and 1702.1 He was educated from 1696 to 1700 at Eton College, Windsor, Berkshire, EnglandG.1 He was styled as Marquess of Blandford from 1702 to 1703. [S6] G.E. Cokayne; with Vicary Gibbs, H.A. Doubleday, Geoffrey H. White, Duncan Warrand and Lord Howard de Walden, editors, The Complete Peerage of England, Scotland, Ireland, Great Britain and the United Kingdom, Extant, Extinct or Dormant, new ed., 13 volumes in 14 (1910-1959; reprint in 6 volumes, Gloucester, U.K.: Alan Sutton Publishing, 2000), volume VIII, page 497. Hereinafter cited as The Complete Peerage.